Word has spread from one man shops to legacy businesses that ignoring mobile marketing isn’t wise. A responsive web design is a must have if you plan to keep the market engaged with your brand. 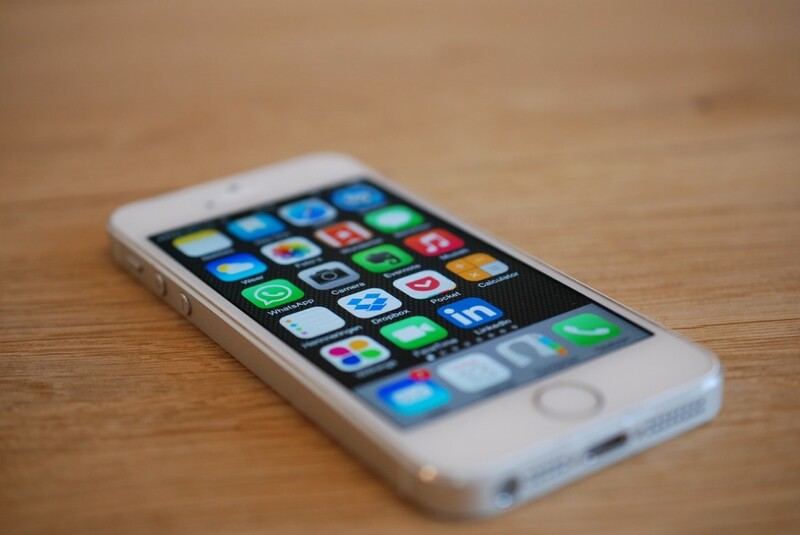 Business owners are still struggling, however, with the decision to develop mobile apps. Are you guilty of listening to an app pitch in a meeting, then glazing over it in favor of more pressing matters? The number of mobile users has now surpassed desktop users on a global scale. Almost all mobile users (89% as of 2013) use apps over a mobile site. Business apps are the 2nd most popular category in the Apple App store as of March 2015. These numbers are only increasing. Sit down, discuss app possibilities, and keep it as an agenda item right now, even if you don’t act on it immediately. App development in small business can fail miserably. Apps that aren’t intuitive, relevant, or well marketed can be money down the drain. Your approach to the app is half the battle for success. To start, let’s look at the negative side of app development and how to turn them into positives. The biggest cons are cost and the associated risk. Luckily, developing an app has never been more affordable, which in turn minimizes the risk. The other concern you may have involves time management and development brainstorming. A really great app takes time to think about, and your online and mobile strategy may already be taking up a significant portion of your time. Consider asking a team member if he or she is willing to take on the initial phases of research and development as a pet project. The opportunity provides your volunteer with experience in project management and a hard skill he or she can add to a resume, while providing your company with a much needed service at little or no cost. By starting the research and brainstorming phase, your team can really evaluate the potential for return an app can provide. When effectively integrated into your overall mobile strategy, a mobile app provides consumers with direct marketing and valuable information and inspires loyalty. All of a sudden, your app icon becomes part of your consumers’ daily worlds each time they open up a smartphone. Once you’ve decided to venture into the world of app development, you need to find a way to stand out from the crowd. Every company in every industry can leverage apps to reach the marketplace. Not every person downloads an app every day, but app downloads are at an all-time high for both Apple and Android. 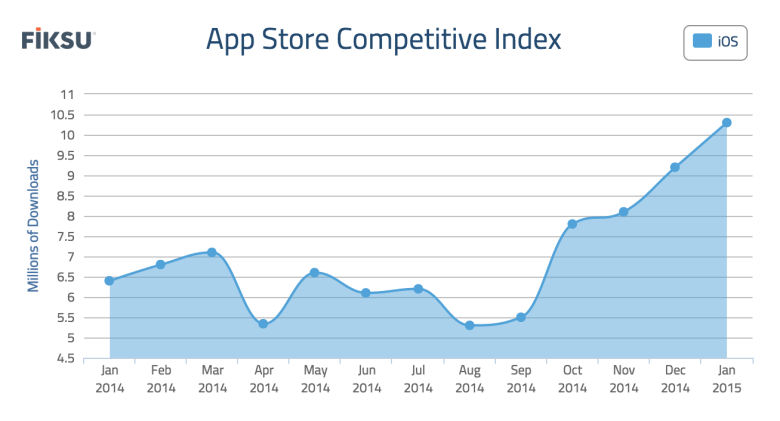 In January 2015, free apps in the Apple App Store increased 60% over the same time last year. So what makes a great app? Apps that provide utility or great deals are highly coveted in the marketplace. If you can make an impact in your consumer’s daily life, your app will be successful. Remember that the goal of a business app is to cultivate brand visibility, interaction, and loyalty, not necessarily be a primary sales driver. Two great examples of leveraging apps in the marketplace come from brands like Starbucks and The North Face. When Starbucks came out with an app for mobile payments, loyal customers jumped on the bandwagon and are now using the payment system 7 million times a week. As part of the mobile app, every time a consumer purchases through the app, he or she receives benefits through the company’s reward program. Today, more than 9 million people are engaged in the My Starbucks Rewards program. The app is convenient, intuitive, and meets the daily needs of the customer. The North Face took a different approach. It has three different apps geared toward its target market. The Mountain Athletics App features tracking tools and training videos to help people perform better in their recreational activities. Snow Report collects information for skiers, including resort conditions, forecasts, and maps for mountains around the world. The North Face App gives consumers an easy way to browse, share, and find stores. The North Face gave its store’s app an extra edge by sending alerts about nearby stores to customers who sign up. When you determine how you can make a difference in someone’s daily life, you have an app that will be downloaded. Keep in mind that when you decide to integrate an app into your mobile strategy, the final product will require maintenance. There are two basic approaches you can take for app development. You can hire an employee to oversee, develop, and maintain the app, or you can outsource by hiring an external agency that specializes in app development and maintenance. There are online app builders out there. If you’re interested in developing an app without technical expertise, do some research about whether or not these platforms will meet your needs. Companies looking to strengthen their mobile strategies may want to consider hiring a professional to ensure quality and scalability. After it has been built, your new app will need help getting off the ground. Give it a beta test and see what feedback your consumer base provides. When you’re ready for a full-scale launch, remember to leverage social media heavily and include the app store logos on all your branding. Focus on what you would want to see in an app to make the most for your end users.